What a week! Thank goodness it ended on a high note – it was truly a day that will imprint on my memory forever, and a highlight of my career. I won’t go into details, but it is days that these that keep you going, particularly when you wonder why you work so hard. It is nice to see that light bulb go on in people’s heads – and that’s exactly what happened. It was also a big week for a couple of other organizations that are near and dear to me. 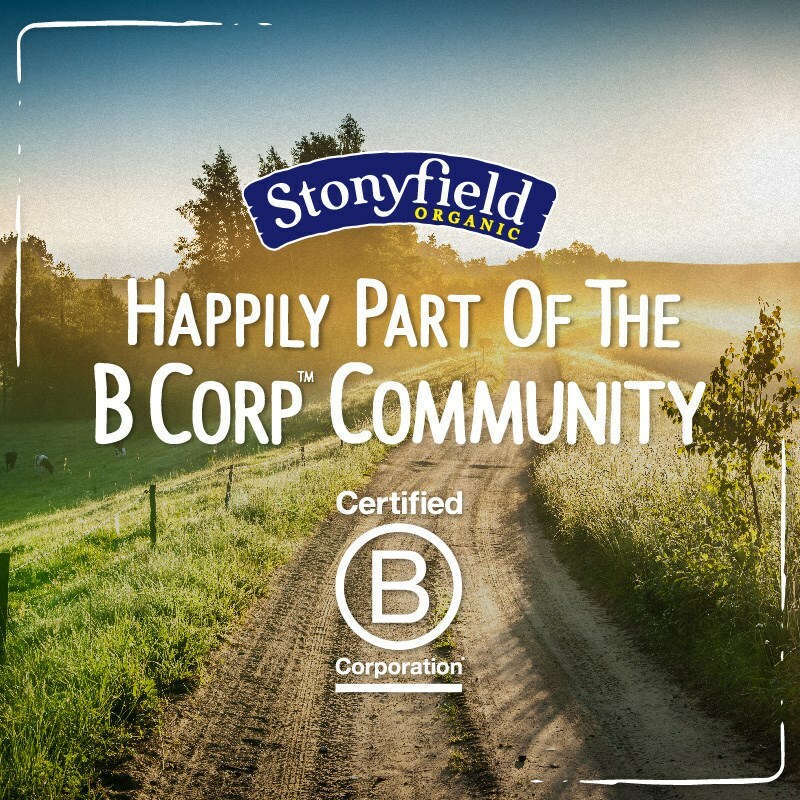 Stonyfield Farms announced last week that they now part of the B Corps Community. This certification ensures that these companies are not just serving their shareholders, but also our communities and our planet. In reading about this certification, it makes me even more proud to represent their products. 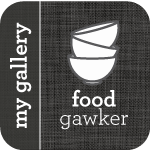 Some of my other favorite brands are also part of this community: King Arthur Flour, Purely Elizabeth, Method, Pukka, Pete and Gerry’s, and Preserve. These are products that I trust, and I seek out – and in times like these, there is nothing more important than to support companies that are looking out for our future. And now we get to S’mores…it is Girl Scout Cookie time once again!! This year the Girl Scouts really out did themselves with the new S’mores cookies. I was fortunate enough to attend this amazing event last Thursday evening to celebrate the launch of cookie season. This event was hosted by the Girl Scouts of Western Washington, and it was a Cookies & Cocktails party – with Girl Scout cookie themed bites and cocktails made by Seattle’s famous woman chefs and mixologists. I found this recipe in Cooking Light – and I must say, it was a HUGE hit with our friends. But don’t fret – the Girl Scouts have got your back – no need to make these from scratch for the next month – just find your nearest Girl Scout and buy a box of their delicious cookies! Process crackers in a food processor until fine crumbs form; transfer to a large bowl. Add 3 tablespoons sugar, butter, ¼ teaspoon salt, 1 egg white, and whole egg, stirring to combine. Press crumb mixture into bottom of a 13- x 18-inch jelly-roll pan coated with cooking spray. Bake at 350° for 8 minutes or until crust is set. Remove from oven; sprinkle chocolate in an even layer over hot crust, spreading evenly as the chocolate melts. Cool completely in pan on a wire rack. Place remaining 4 egg whites in a large bowl. Add vanilla, cream of tartar, and remaining 1/8 teaspoon salt; beat with a mixer at high speed until soft peaks form. Combine remaining 1 cup sugar and ? cup water in a saucepan; bring to a boil. Cook, without stirring, until a candy thermometer registers 250°. Gradually pour hot sugar syrup in a thin stream over egg whites, beating at medium-low speed, then at high speed until stiff peaks form. Spread meringue over cooled chocolate-graham crust. 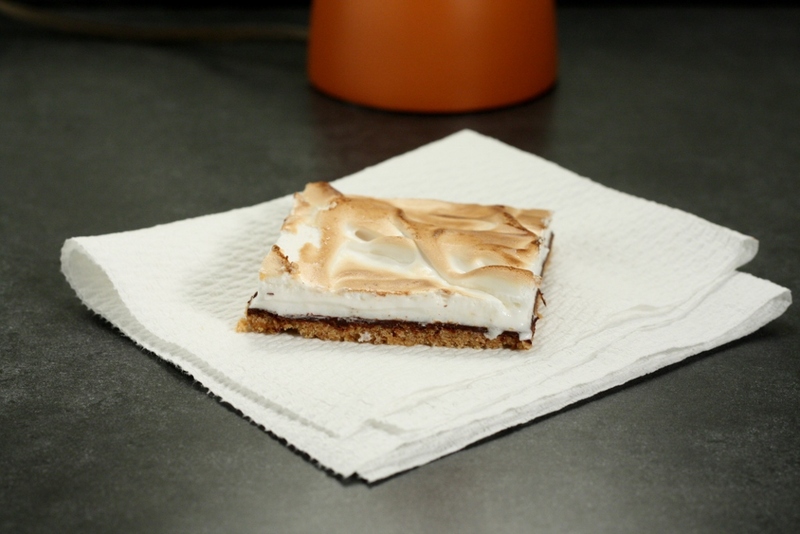 Place pan on middle rack of oven; broil 1½ minutes or until meringue topping is toasted and golden brown. Let stand 5 minutes. Cut into 30 squares. Serve warm or at room temperature. Please note: As a Team Stonyfield ambassador, I am being compensated. All opinions about Stonyfield Farm’s products are always my own.